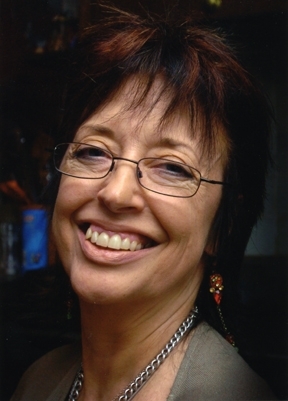 It is now several years since Scottish author Mairi Craw moved to the village of Taurinya in the foothills of Le Canigou, after living in rural Dorset where she embarked on her debut novel, the first in a fantasy trilogy inspired by her childhood in a small Scottish port. Warm and lovely, with an infectious laugh and a bucketful of tales to tell, it is easy to understand how she enraptured and captured the hearts and imaginations of both children and adults with the first part of the trilogy, ‘Beyond the Hedge’. “The move to the Pyrénées-Orientales was unprecedented and completely out of the blue. I considered Dorset to be my home for life and where I would write the subsequent novels, and yet here I am living this a wonderful new life, inspired by a short trip to visit relatives who’d emigrated to the Perpignan area some years before. As we stepped off the plane, I remember being gripped by the feeling that I was coming home, in spite of never having set foot in the Pyrénées-Orientales before. It was completely irrational but I’ve never been one to slam the door in the face of destiny. I know this sounds preposterous, but some things are just meant to be and several years into my mid-life adventure I’m delighted to say it has never once threatened to turn into a mid-life crisis. We have been made so welcome and the gentler pace of life here agrees with the whole family, not least of all our six cats and two dogs who, like us, appreciate the glorious climate. ’Beyond the Hedge’ is centred round 11-year-old Sandy Henderson who lives a carefree life with her family in Irvine, unaware that the enchanted world of Sylvania lies beyond a huge hedge at the bottom their overgrown garden. When her beloved cat, Leo, tumbles headlong into this extraordinary land, while they’re exploring an unfamiliar part of the orchard, Sandy undertakes a dangerous journey to bring him home again. At the time the novel is set, my father, Captain Ralph Henderson, was harbourmaster for the port of Irvine. Dad was a born storyteller and, when I was very young, he used to keep me entertained with imaginative stories about a resilient elf called Alfie, his feisty wife, Pogo Pixie, and a snake called Sammy who guarded a giant sapphire in an enchanted cave at a secret location in our own back garden. The idea for ’Beyond the Hedge’ grew out of my memories of that atmospheric wilderness behind our sprawling Victorian house, coupled with a longing to meet the magical fairyfolk my father had created.